Jane Goodall and ‘The Wild Immersion’ — a potential watershed moment for wildlife film-making. Have you ever experienced the roar of a jaguar standing in front of you with nothing restraining him? 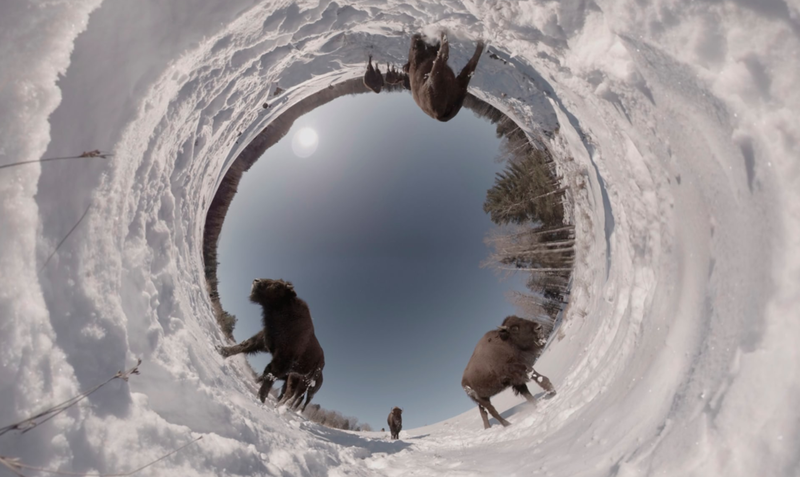 “The Wild Immersion” aims to make that not just possible but a virtual reality. Film is one thing; the VR experience quite another. Goodall is determined to not only make younger people see and hear what’s left of our wild world, but experience it and feel it, in their bones and in their soul, as if they were there, in person. First, the bare bones behind the project. This is the boring part. The explanation of what it is. 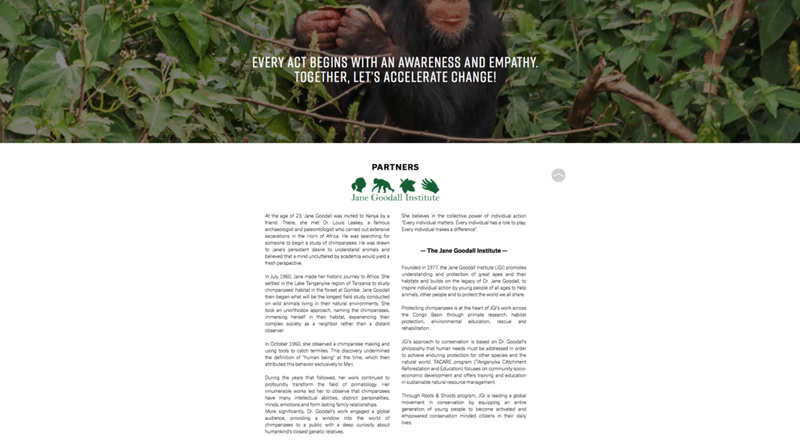 Why it matters, why you should care — and why Goodall is injecting so much of her personal passion into the project — comes after this. Simply put, The Wild Immersion is a virtual-reality entertainment production company whose stated aim is to produce, recreate and present immersive experiences in wild, natural surroundings, whether it’s staring up from a blade of grass at a pride of prowling lions or soaring through an African sky while flying with a flock of flamingoes, looking down on the pristine waters of a primordial lake not far from the volcanic highlands where humankind was born. Goodall, the Bournemouth, UK-born primatologist, anthropologist, ethicist, author, behavioural scientist, mother and human being who founded the Jane Goodall Institute, has been spreading the word of conservation for half a century now, in the trail of her pioneering studies of chimpanzee behaviour at Tanzania’s Gombe Stream National Park in Central Africa’s “Great Lakes” region. “I feel a desperation to make people see what we are doing to the environment, what a mess we are making of our world. At this point, the more people I reach, the more I accomplish . . . I do miss Gombe and my wonderful years in the forest. But if I were to go back to that, I wouldn’t feel I was doing what I should be doing. 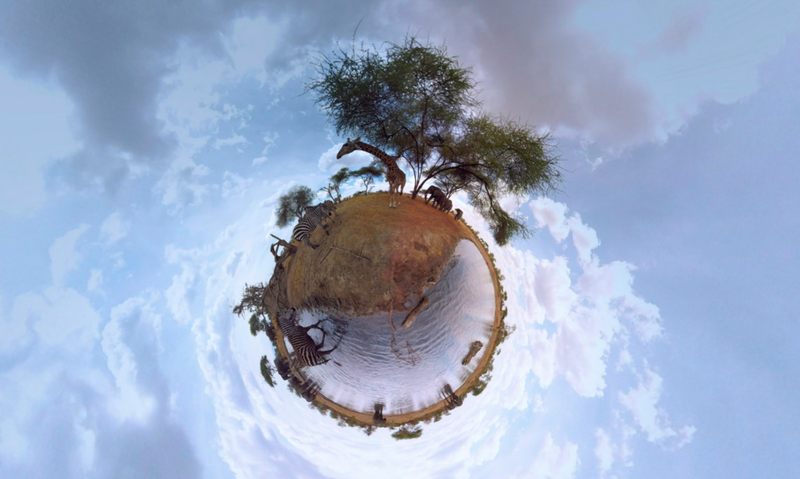 The first three 12-minute films in the Wild Immersion film series — depicting the African savannah, underwater and polar habitats — were unveiled at Cannes, but that’s just the beginning. Future screenings — or immersions, if you will — are planned for China, the U.S. and across Europe. 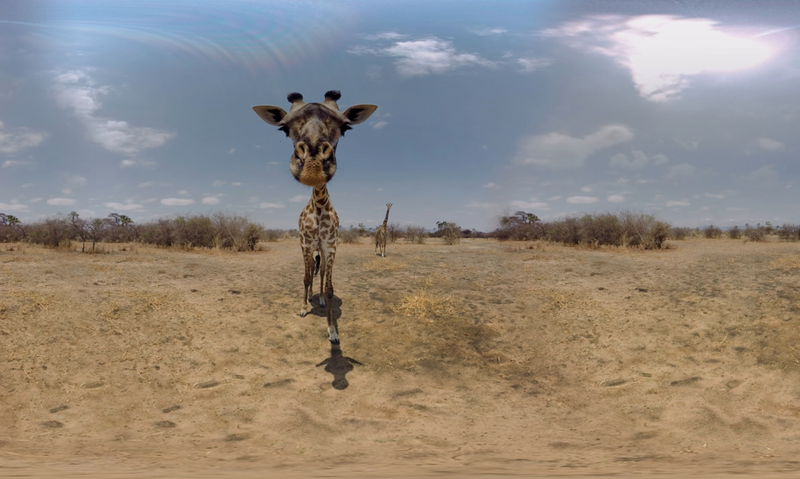 There are plans, too, to introduce The Wild Immersion in schools through headset-maker Lenovo’s “VR Classroom” project, via “virtual field trips.” The Wild Immersion project is designed to raise money for nature reserves — that’s the conservation part — based on 80 minutes of VR footage captured by Aupy and his team of technicians following 120 days of filming on five continents. In an interview with The Guardian’s Steve Rose earlier this week, Goodall, 84, explained why she refuses to give up in the face of what seems like impossible odds. That something, it seems, was Jane Goodall. Most ordinary people can be forgiven for thinking just that, Goodall said, but there always room for hope. That’s one reason — one reason only — why she titled her 1999 book Reason for Hope. 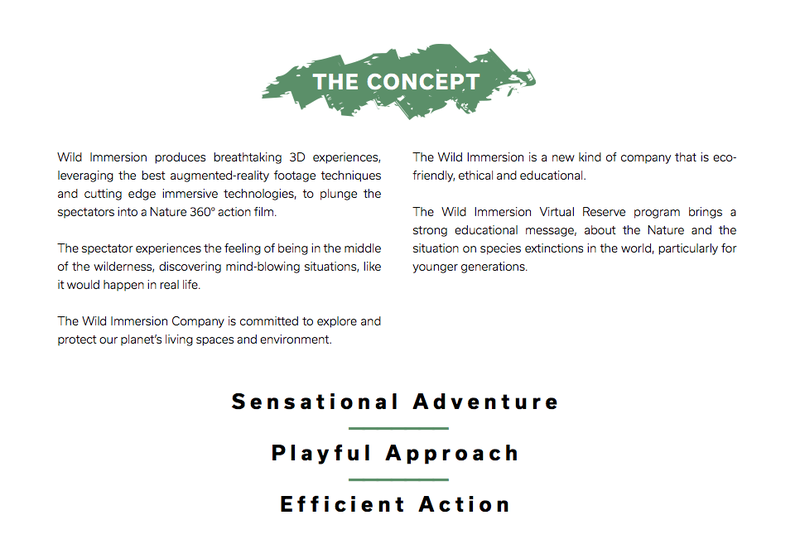 Based on the early evidence — and just take a gander at the images below, if you doubt that — The Wild Immersion is going to touch a great many hearts, possibly more than any two-dimensional film or TV program can hope to do. Newer PostRhinos — born to be wild, not farmed. Older Post‘The World’s Most Wanted Animal’ eye-opening, heart-rending — and urgent.